‘Let us declare that the state of war does exist and shall exist’, the revolutionary patriot had said almost a hundred years ago, and that forewarning travels into India’s present, as armed insurrection simmers in Bastar, in the troubled heart of central India. To the east, beleaguered adivasis from the mineral-rich hills come forth bearing their axes, and their songs. And in the north the swelling protests by peasants sees hope coagulate– once more–around that iconic figure of Bhagat Singh, revolutionary martyr of the anti-colonial struggle. But are revolutions even possible anymore? For more than 15 years, people of the Narmada Valley in central India have resisted a series of massive dams on their river, and in their struggle have exposed the deceptive heart of India1s development politics. When the use of violence has become the arbiter of all political debate, Words on Water is about a sustained non-violent resistance, an almost joyous defiance, which empowers people as they struggle for their rights, yet saves them from the ultimate humiliation of violence. 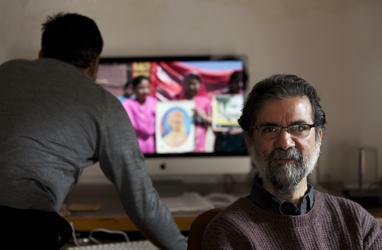 Sanjay Kak is an independent documentary filmmaker whose recent work reflects his interests in ecology, alternatives and resistance politics. His most recent film'Red Ant Dream' is the third in a cycle of films that interrogate the workings of Indian democracy. His films 'Jashn-e-Azadi' (How we celebrate freedom) about the struggle for Azadi-freedom-in Kashmir, and 'Words on Water' about the struggle against large dams in the Narmada valley in central India, have been widely screened both in India and abroad. 'Words on Water' (2003) won Best Long Film prize at the International Festival of Environmental Film & Video, Brazil. 'In the forest hangs a bridge' (1999) received the "Golden Lotus" for Best Documentary Film at the 1999 National Film Awards in India and the "Asian Gaze" Award at the Pusan Short Film Festival, Korea. He is based in New Delhi. Three decades after they first came over in the 1960s, a new generation of 'Asians' grow up in the Britain of the 1990s, far removed from the docile pragmatisim of the early arrivals from the Indian sub-continent. Through the voices of young actors playwrights, musicans ( and a ubiquitous radio station) , this is a film about the endless rehearsals that go into the constrcution of identity. Featuring Rita Wolf, Parv Bancil, and Faruk and Harun Shamser of Joi Bangla Crew among others, as they struggle for a place in the sun. "This Land,My Land, Eng-Land! and A House and a Home, two documentaries by Sanjay Kak, on Indian emigrants in England and South Africa, are gentle nudges that disturb our comfortable vision...If the film on England, highlighted imaginative responses and resisitance to assimiliation, the film on South Africa sharply underscores the pain of being kept separate....In this gentle act of unpeeling of well worn labels, Sanjay Kak offers us a mode of looking at the problematic terrian of idenity with our curiosity and intelliegence intact"
Indians first arrived in South Africa in 1860, the vast majority of them one step ahead of slavery, as indentured labor. 'Citizens' of one part of the British Empire, they were helping to build another. 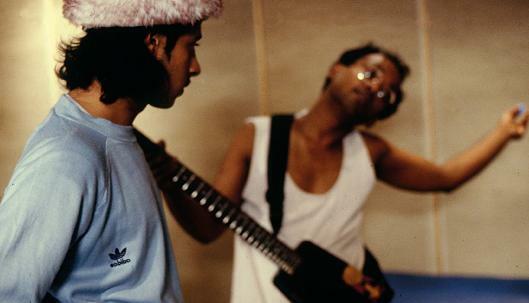 In 1991, as the structures of Aparthied appeared ready to be dismantled, a film crew from India travelled to Durban, to tell a story of the Indian in the 'New South Africa.' In the first flush of change, as new opportunities unfolded, old prejudices were also rekindled. 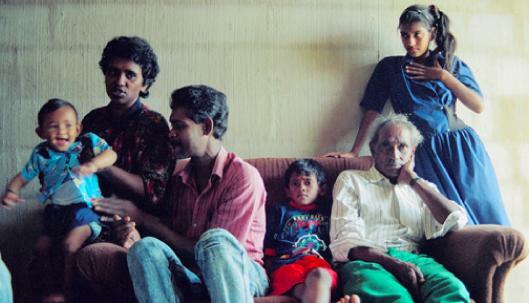 South Africa's one million Indians were being forced to make choices as never before. A House and a Home looks at a community in transistion, focussing on a central pre-occupation in the migrant experience - land, housing and home.